Substratum Node Early Open Beta is Live! Substratum is an ERC-20 cryptocurrency which tends to fly under the radar. But when you take a close look, they’re a platform with an ambitious and exciting plan for a decentralized, P2P internet network. 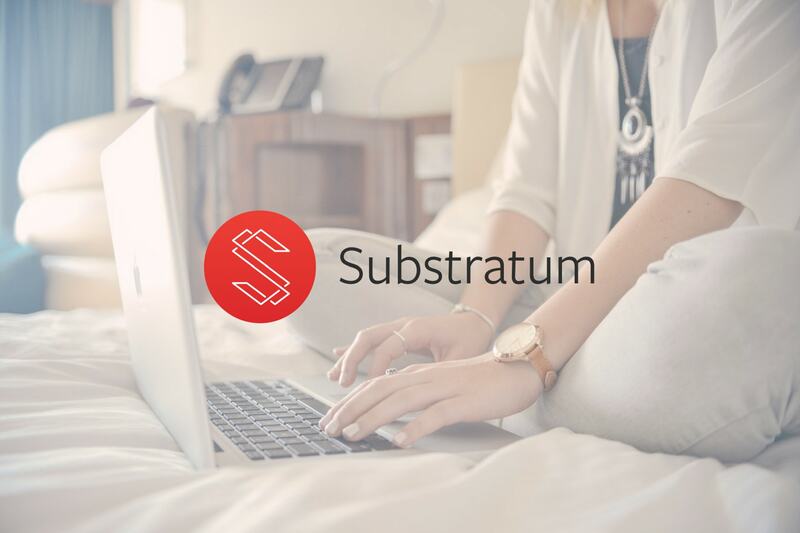 Essentially, Substratum aims to apply the sharing economy to the internet itself, in particular web hosting and access to content. Anyone can turn their computer into a web host running a Substratum node, and whenever that node serves content, the user will be paid a reward in the Substratum token (SUB). While the obvious incentive here is the passive income you can earn by participating in the decentralized network, there are more socially conscious benefits as well. Substratum works on all browsers, and it requires no special software, which means that it provides a workaround to censorship and countries that ban VPNs. Substratum also offers an individualized payment model; instead of paying a monthly bill, internet users pay for the amount of bandwidth they use. Similarly, users renting their computing power specify how much they want to give out, and at what time of day. In every way, Substratum is working to make the internet more customizable to our individual needs. The Substratum ecosystem is made up of essentially three components – hosts, nodes, and end-users – who each perform a different function in maintaining the network. Anyone with a computer, both individuals and businesses, can act as a host. Hosts provide content for the decentralized web, adding new websites and apps. Hosts pay based on the number of clicks their website receives, rather than for uptime. This makes for a direct relationship between a website’s popularity and the cost to its host, allowing for a more egalitarian system of fees. So what happens when a user requests a site or a piece of content? With a decentralized network of nodes, Substratum allocates multiple nodes towards a single piece of data, and Artificial Intelligence determines the quickest way of delivering the information to the user. With data split between multiple nodes, and with unique encryption technology, Substratum ensures maximum security for data transactions. With each delivery a node makes, they earn a reward in Substrate (SUB), Substratum’s native token. Moreover, the Substratum node is designed to accommodate your personal computer usage, and will run on low power in the background so as not to interfere with your activity. When your computer is idle, the node will then automatically become more active, thus increasing the amount of passive income you earn. Users who visit websites hosted on Substratum will be able to view and experience content exactly the same as with any other websites, and they’ll be able to access it through their standard browser: Chrome, Firefox, Safari, etc. All Substratum-hosted websites can be accessed from any device, mobile or PC. Users will also avail of all Substratum’s tools and services, including internet payment app CryptoPay (more on that later). Once Substratum is up and running, hosts, nodes, and end-users will continue to cooperate as moderators of the network. Content will be regulated by the Substratum community, through a voting system in which high-quality material is promoted and harmful or misleading material is downvoted and ultimately removed. The voting takes into account how much SUB users have, their amount of time holding it, and their previous voting activity to make sure that users most active in the Substratum community have more power in the governance of the ecosystem. If you’ve been a loyal follower of Substratum, or if you’ve just heard of them but are excited to try them out, you’ll be glad to know that they went open-source on April 23, 2018, and their Substratum Node Early Open Beta has just gone live. This provides an exciting chance for users to get in on the action and get familiar with all the functions the complete Substratum will offer. Users can experience Substratum’s vision for a decentralized internet, and provide feedback to help them get the bugs out. And for those not quite ready to commit to being a full-time node, once you install the beta version you’ll be able to toggle back and forth between Substratum and your normal UI. This beta is still a rough model, as they wanted to roll out the UI for testing with the public as soon as possible, rather than spend however many more months fine-tuning it. As such, the services and functions available to test-run will be the most basic, with the final, sleeker version to come in the future. Included in Substratum’s beta model is their crypto payment tool, CryptoPay, which is similar to PayPal and other payment apps but allows for a wide range of cryptocurrencies. Website hosts can utilize the CryptoPay tool, which will convert payments in fiat and other cryptocurrencies into SUB seamlessly. You’ll still be able to perform most of your regular internet functions using the Substratum network – however, streaming videos will not yet be available on the beta version, among a few other functions. For those, you’ll have to wait until the final version. Neighborhoods from the Cores network will be released with version 0.4.0 of Substratum, which is the next stage after beta. This will include multiple exciting features, such as the capacity to route around firewalls and have the entire internet at your fingertips. While the current beta version of Substratum won’t include the ability to earn money based on hosting a node, if you hang around until version 0.5.0, then you’ll finally have access to all of Substratum’s defining features. These include earning cryptocurrency for hosting, viewing the entire internet, and more. All participants of the Substratum Node Early Open Beta version are urged to provide feedback on their user experience. Not only will this help Substratum work out the kinks and become the very best it can be, but this is your chance to contribute to the decentralization of the internet via blockchain. Substratum is steadily expanding its reach, and can be bought and traded on Binance, KuCoin, Coss.io, and HitBTC. The SubstratumNode 0.3.0 Early Open Beta is available for download. To stay updated on Substratum’s progress, check their website for new announcements. You can also follow them on Twitter.